This video shows the gunfire battle between robbers and a policeman who traced a customer holding cash to a Nigerian Bank rumoured to be Zenith Bank. The poiliceman was able to kill one of the robbers, no one knows if he survived. 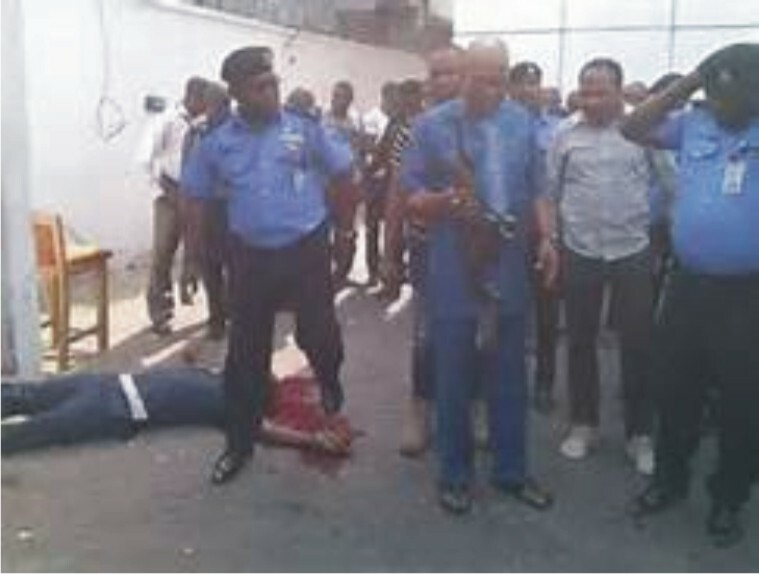 UPDATE: The CCTV footage is from the Zenith bank four-man robbery attack which led to the death of one of the robbers and many injured have surfaced online. The robbery occurred on 22nd February, 2017 at a Zenith Bank Branch along Wetheral road Owerri. 2 Responses to "WATCH VIDEO: LIVE GUN BATTLE AMONG ROBBERS AND SECURITY AT A NIGERIAN BANK CAUGHT ON CCTV IN OWERRI"